Slavic Soul Party! plays at Bates on April 6. Demonstrating the diversity and vitality of the arts at Bates, the Olin Arts Center Concert Hall presents two very different musical groups in separate Olin Arts Alive concerts on Saturday, April 6. 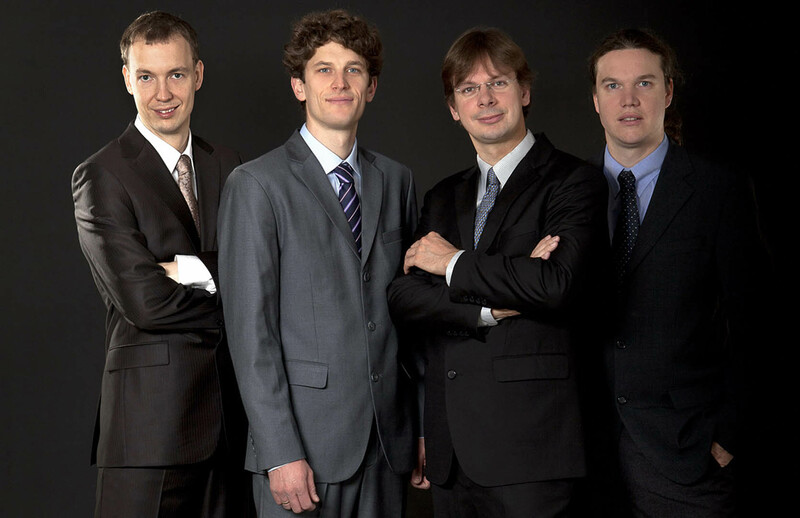 At 3 p.m., the Bennewitz Quartet offers a program of music by Martinu, Bartok and Beethoven. At 7:30 p.m., the high-energy Slavic-Gypsy-jazz-funk brass band called Slavic Soul Party! takes the stage. Tickets for each concert are $12, available at batestickets.com. Free tickets for the Bennewitz concert are available for the first 100 seniors and students, and for the SSP! event for the first 50 seniors and students, by advance reservation at 207-786-6163. The concert hall is located at 75 Russell St. For more information, please contact olinarts@bates.edu. The Bennewitz Quartet. Photograph by Pavel Ovsik. The Bennewitz Quartet consists of violinists Jiri Nemecek and Stepan Jezek, violist Jiri Pinkas and cellist Stepan Dolezal. The quartet’s aim is to present new perspectives on well-known compositions and at the same time enliven concert programs with music seldom heard on stages. While rooted in the Czech musical milieu, the quartet strives for permanent freshness and spontaneity of musical articulation. The quartet has been much honored, including such prestigious accolades as the Gold Medal at the Osaka String Quartet Competition in 2005 and the first prize at the 2008 Premio Paolo Borciani in Italy. They have performed across Europe and the U.S. and have appeared in Tokyo, Seoul, Beijing, Abu Dhabi and other cities worldwide. They have recorded several CDs and have been broadcast on radio and television in the Czech Republic, Germany, Austria, France, Italy, Spain and Japan. The quartet was founded in 1998 at the Academy of Performing Arts in Prague and took its name from the renowned Czech violinist Antonin Bennewitz (1833-1926). “Madcap rhythms, hyperactive horns, a sense of the absurd, and just a hint of abstract jazz . 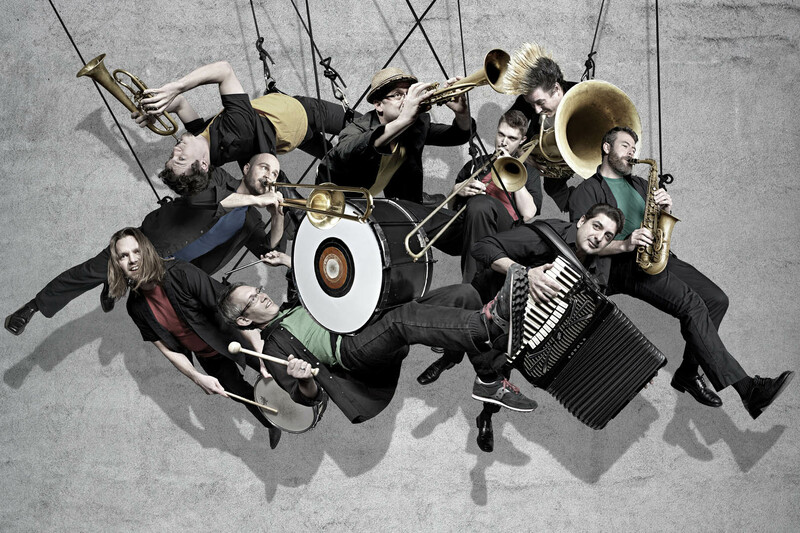 . . everything you could want in a record.” That’s how NPR’s “All Things Considered” described Slavic Soul Party!, a New York City-based brass band that combines funky grooves, fiery Balkan spirit, Gypsy accordion wizardry and virtuoso jazz chops into one high-energy whole. SSP! has won the ears of fans and musicians on both sides of the Atlantic, and its tunes have been learned by Serbian brass stars Boban Markovic Orkestar and New Orleans funk sensations Galactic, among others. One of the hardest working bands in New York, SSP! plays nearly 100 times a year in North America, Europe, Africa and beyond. They have appeared in Istanbul with the Karandila Orkestar, at New York’s Irving Plaza with Gogol Bordello, in Sing Sing prison and in virtually every major New York club. In addition to touring throughout the U.S. and Europe, SSP! holds down a residency every Tuesday in Brooklyn that has become a destination for music fans from around the world. The band’s fifth CD, Taketron (Barbes Records), appeared in 2009. Tags Bennewitz Quartet music Slavic Soul Party!